I am fond of fruit jam since childhood. Never ever did I imagine that I would be making jams one day. Well, I had to, since we are no longer buying any ready-to-eat food items. It's been more than 5 years since I tasted jam. Surprised? Do not be! I am not a foodie and thus not crazy about things (except cookies). Since we are not buying anything from groceries or confectioneries, I am trying my hands at anything and everything that comes my way. I am glad I am coming up with surprising results - yes, surprising for my own self. Nobody in my home, except hubby, knows what all I am doing in my kitchen, because I am not known to be passionate about food among my loved ones. Well, that's another story. But I wanna try my hands at everything. oopssss....too much of self-talk again. Let's come back to the new mixed fruit jam recipe. Anyway, so I thought of putting these grapes to good use - I wondered why not make an ice cream with these beauties. Then I deferred my idea and used half of the grapes to make mixed fruit jam. 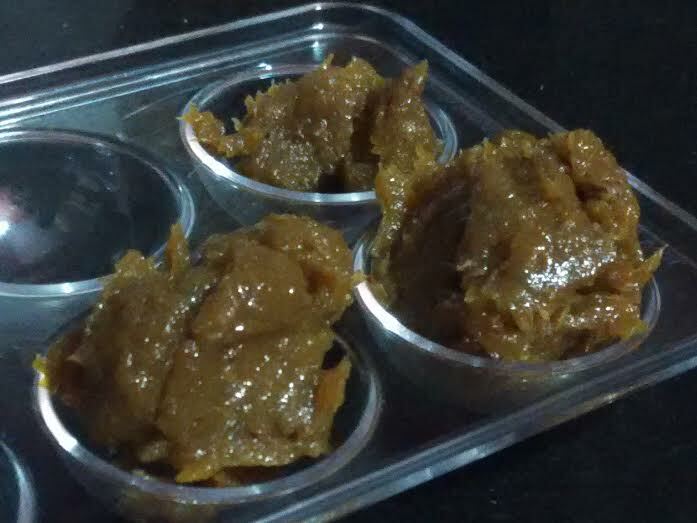 Well, I would still not call this jam, since I use little sweet (gur/jaggery) and making a jam does require a good amount of sugar or gur. 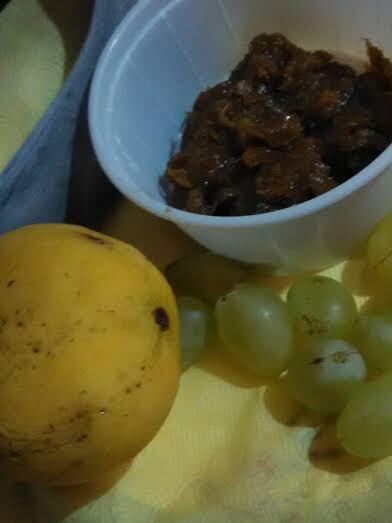 Nevertheless, despite using just 1 tsp of gur with grapes, mango, and banana, I was able to make a tasty, tangy blend that I would like to name "mixed fruit chutney" or fruit jam. Increase the amount of sugar - almost equal to the amount of fruits - and you could make jam with this recipe. Take grapes and boil them in water for 5-8 minutes or until they turn soft and pulpy. When grapes have cooled down, throw them in the food processor or grinder along with mango slices and banana pieces. Give everything a good churn. Take this mixture out in a heavy bottomed vessel and add sugar or gur. Cook on medium flame while stirring continuously. Keep stirring until the mixture thickens as a mass. If you are making mixed fruit jam, then you do not need to add salt. Add black salt when it is almost done. Next add vinegar. Mix well and turn off the flame. The mixed fruit chutney or jam with a glaze is ready. 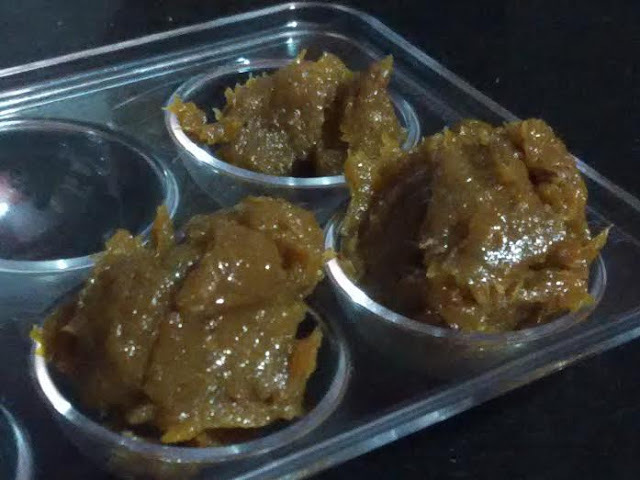 Make in small batches, since we are not using pectin as preservative. Of course, vinegar does act as a preservative though! 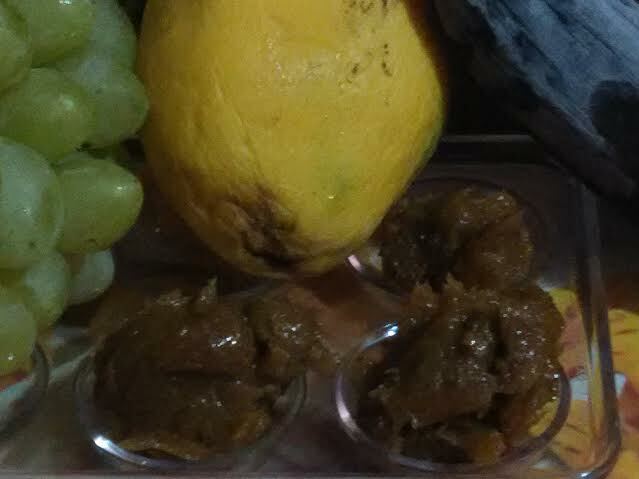 You may want to check the recipe for dhaniya-amla chutney.